I am sorry to hear that the 2 antibodies do not seem to work as expected. As we discussed over the phone, ab82477 has not been tested in human and chinese hamster samples. But if you could try it on mouse or rat samples (which are tested species), we could come to a better conclusion regarding the performance of the antibody. As for ab124780, we did obtain a band for 293T cells and the antibody should give a band for human samples. Would you be able to test 293T cells, also for the RT-PCR signal? I apologize for the delay in replying. 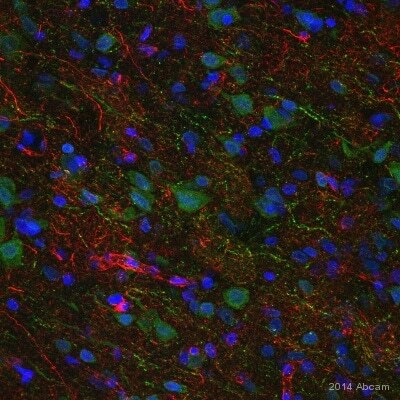 We have received a new antibody https://www.abcam.com/Adenosine-A1-Receptor-antibody-EPR6179-ab124780.html, and in the process of optimizing it. I will let you know our results and give some more feedback on ab82477. I look forward to hear back from you and wish you good luck with ab124780. This antibodyhas been tested in WB with human samples, and thus, will be guaranteed. Thank you for submitting an Abreview of ab82477. As you may have noticed, your review has now been published on our website. Since you obtained poor results using the antibody in a untested species, we would like to follow up on this to see if we can possibly improve the results you are seeing with this antibody. Thank you very much for your interest in ab82477. 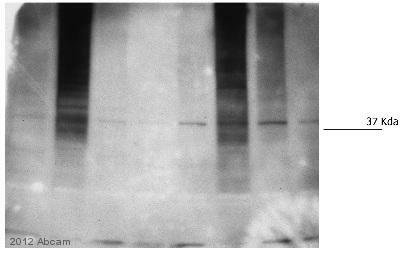 The antigen retrieval used to generate the image on the datasheet was Citrate buffer pH6 for 20min. I suggest to incubate the antibody overnight at 4C to achieve the best saturation. To our knowledge, ab82477 has not been tested in IHC-Fr. Therefore, I can offer a discount off a future purchase if you buyab82477 now, test it in IHC-Fr and submit feedback to us in the form of an Abreview. It doesn’t matter whether the Abreview is positive or negative, we would just really like to receive your feedback. The discount would be to the value of: 1 free primary antibody or the value of your next order..
1. Reply to this e-mail to let me know that you would like to proceed and testab82477 in IHC-Fr. I will then send a discount code. This code must be issued before purchasing ab82477 so please wait for my reply before ordering. 2. Purchase ab82477 either by phone, fax, or online (www.abcam.com). We are always pleased to obtain feedback about our products and any information is greatly appreciated! Even if ab82477 turns out to be unsuitable for IHC-Fr, you will still receive the discount on your next purchase after your Abreview has been submitted. I would like to test ab82477 for use on human samples. I am very pleased to hear you would like to accept our offer and test ab82477 on human samples. This code will give you 1 free primary antibody before the expiration date. To redeem this offer, please submit an Abreview for human and include this code in the “Additional Comments” section so we know the Abreview is for this promotion. For more information on how to submit an Abreview, please visit the site: www.abcam.com/Abreviews. Searching for Adenosine receptor 1 antibody tested in IHC-P, IHC-Fr and rat. However, I am sorry that to our knowledge, ab82477 and our other Adenosine A1 receptor antibodies have not been tested in IHC-Fr yet. Therefore, I can offer a discount off a future purchase if you buy a82477b now, test it in IHC-Fr and submit feedback to us in the form of an Abreview. It doesn’t matter whether the Abreview is positive or negative, we would just really like to receive your feedback. The discount would be to the value of 1 free primary antibody. 1. Reply to this e-mail to let me know that you would like to proceed and test ab82477 in IHC-Fr. I will then send a discount code. This code must be issued before purchasing ab82477 so please wait for my reply before ordering. Please let me know if you have any questions about the protocol or theoffer and I would be happy to help you further. The Terms and Conditions of the testingoffer can be found at: www.abcam.com/collaborationdiscount. Could you please send me a copy of the blot image that you ran for both the antibodies for me to compare? I attached the WB for ab82477. The first lane is rat spinal ganglion neuronal cell lysate. The second lane is the positive control- ab7183. Both antibody westerns can be found on the datasheet on the abcam website. Good luck.